Cistus originate from dry, rocky parts of the Mediterranean and Canary Islands, and so are drought-tolerant and low maintanance. 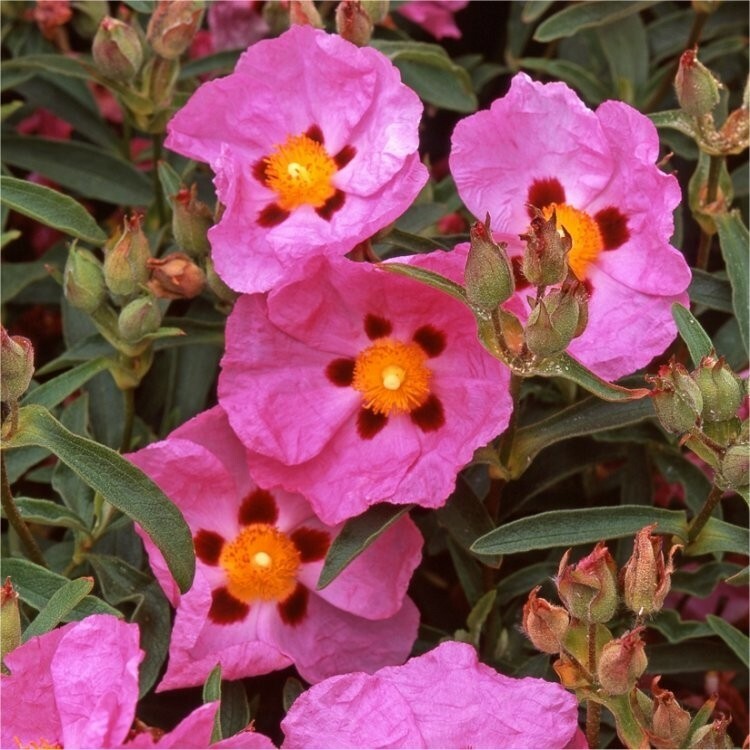 They produce masses of flowers in midsummer, In June and July, Cistus x purpureus produces crumpled, dark-pink flowers splashed with maroon at the base of each petal. Try this rounded, sun-loving, evergreen rock rose towards the front of a sheltered, sunny, well-drained border, or in a container. It will tolerate chalky soil and salty air. Supplied in approx 2 litre containers.